Home > Departments > Faculty > Lene Jensen Ph.D. Through her scholarship, teaching and professional collaborations, Dr. Jensen aims to move psychology toward understanding human development both in terms of what is universal and what is culturally distinctive. One line of her research addresses how moral motives and behaviors are both culturally and developmentally situated. Persons from diverse cultures such as India, Kenya, and the United States often differ in their moral concepts even if they are the same age. Persons of various ages often differ in their moral thinking even if they share a common culture. Dr. Jensen’s cultural-developmental theory integrates both of these insights. A second line of her research examines the psychology of globalization, including a focus on identity development and immigrants’ civic engagement. 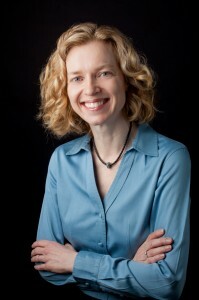 Dr. Jensen’s books and monographs include Bridging Cultural and Developmental Psychology: New Syntheses for Theory, Research and Policy (2012, Oxford University Press), Immigrant Civic Engagement: New Translations (2008, with C. A. Flanagan), and New Horizons in Developmental Theory and Research (2005, with R. W. Larson). Jensen, L. A. (2012). Bridging developmental and cultural psychology: New syntheses in theory, research, and policy. Oxford University Press. Jensen, L. A., & Flanagan, C. A. (Eds.). (2008). Immigrant civic engagement. Applied Developmental Science. Jensen L. A., & Larson, R. W. (Eds.). (2005). New horizons in developmental theory and research. New Directions for Child and Adolescent Development, 109. Jensen, L. A. (2012). Bridging universal and cultural perspectives: A vision for developmental psychology in a global world. Child Development Perspectives, 6, 98-104. Jensen, L. A. (2012). Selves, societies, and social sciences: Pluralism in a changing global world: A review of Matthew Adams’ Self and Social Change and Robin Goodwin’s Changing Relations. Theory & Psychology, 22, 365-369. Jensen, L. A., Arnett, J. J., & McKenzie, J. (2011). Globalization and cultural identity developments in adolescence and emerging adulthood. In Schwartz, S. J., Luyckx, K., & Vignoles, V. L. (Eds. ), Handbook of Identity Theory and Research (pp. 285-301). New York, NY: Springer Publishing Company. Jensen, L. A. (2011). The cultural-developmental theory of moral psychology: A new synthesis. In Jensen, L. A. (Ed.). Bridging cultural and developmental psychology: New syntheses in theory, research and policy (pp. 3-25). New York: Oxford University Press. Jensen, L. A. (2010). Immigrant youth in the United States: Coming of age among diverse civic cultures. In Sherrod, L. R., Torney-Purta, J., & Flanagan, C. A. (Eds. ), Handbook of Research on Civic Engagement in Youth (pp. 425-443). Hoboken, NJ: Wiley. Jensen, L. A. (2009). Conceptions of God and the devil across the lifespan: A cultural-developmental study of religious liberals and conservatives. Journal for the Scientific Study of Religion, 48, 121-145.